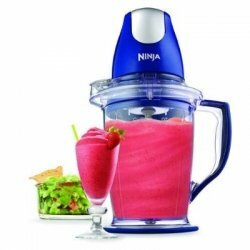 Ninja blenders are one of the most famous lines of small kitchen appliances on the market today. Manufactured by Euro Pro, the latest technology is incorporated into their construction. 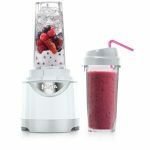 Ninja blenders are most well known for their ability to make fabulous frozen drinks, but they are capable of performing a wide range of different functions in the kitchen. 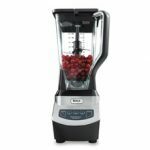 Two of the most distinct features of Ninja blenders are their powerful motors and the unique design of their cutting blade system. 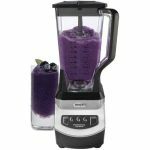 Depending upon which model of Ninja blender you choose, the motor of your Ninja blender will feature 400, 450, 700, 1,000, or 1,100 watts of power. 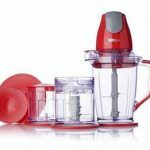 Regardless of which model you choose, you can rest assured that your Ninja blender will be able to complete the most difficult tasks in the kitchen. 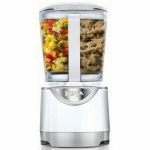 The unique cutting blade system of Ninja blenders features six different blades. Each of these blades are constructed of Japanese stainless steel to ensure their durability. In their design, they are staggered to create a vortex that forces the ingredients in the pitcher up and down to ensure that they are uniformly and precisely cut. 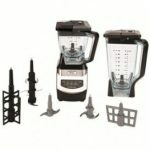 As mentioned, there are several different models of Ninja blenders to choose from. 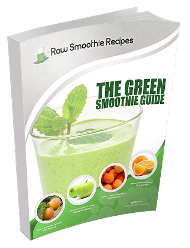 You are guaranteed to find the one that precisely meets your needs in the kitchen. Try them out for yourself today!